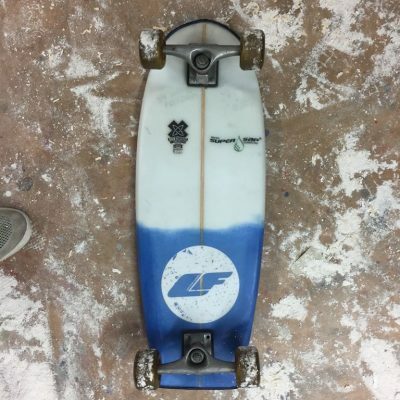 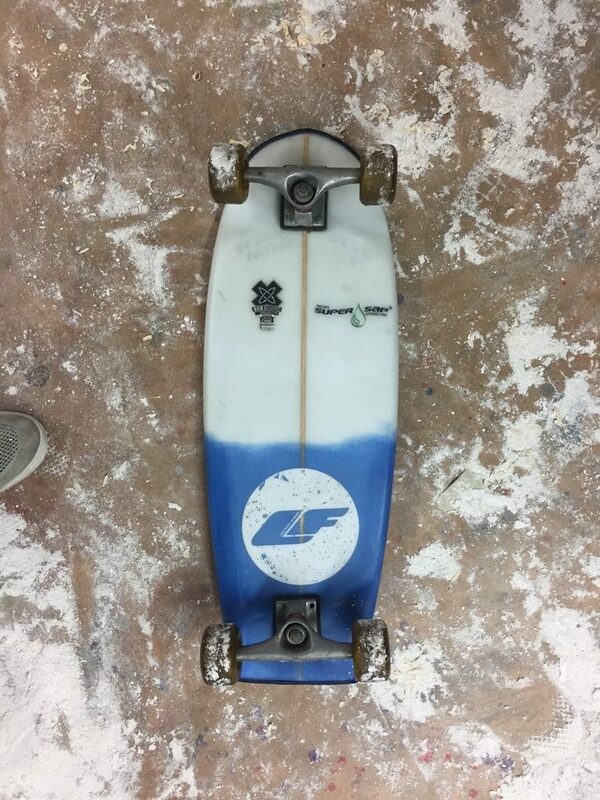 Our Upcycled Skateboards were born out of a desire to somehow reuse rejected surf blanks or old surfboards. These would normally get thrown onto a landfill site somewhere, and that’s just sad. 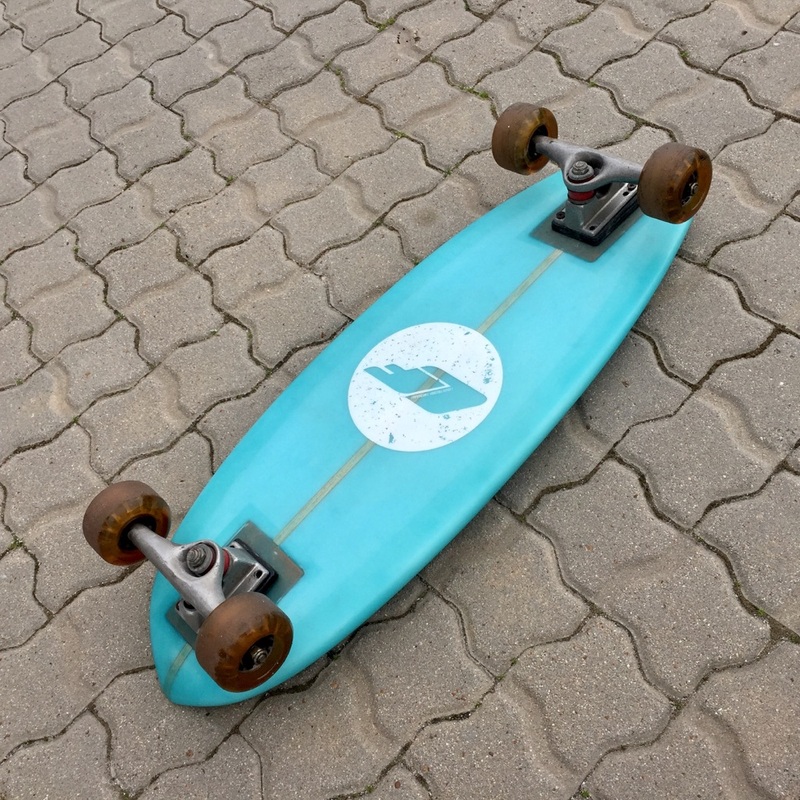 So we are using our CNC machine to shape them into epic little CAD designed, CNC shaped, up cycled cruise boards. Glassed with Supersap bio-epoxy, incorporating recycled wetsuits, these things will make you the coolest kid in the playground again. 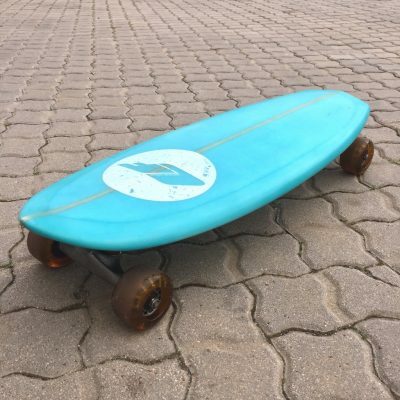 We highly recommend you purchase just the deck and use the old skateboard trucks and wheels you have lying around, but if you don’t have any, we will sort you out with some to bring you the whole setup.